If you’ve ever gone on vacation or been on a business trip, you’ve most likely needed to rent a car. You walk up to the counter to fill out your contract and are asked if you would like to purchase the additional insurance. Have you purchased it before? Many people believe their personal auto policy will respond in the event of a loss to a rental car and therefore decline the additional insurance from the rental company to save money, but your coverages might not always carry over. Keep in mind while other states may handle rental car issues similar to Florida on the Personal Auto Policy (PAP), this blog will be focusing on Florida. 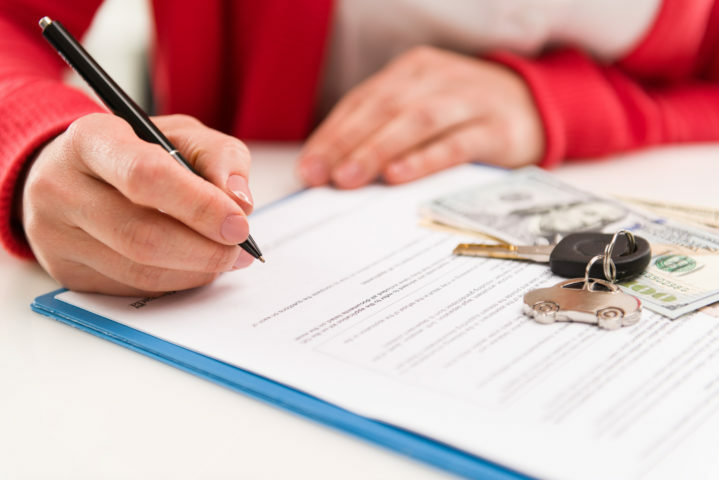 There are two main coverages that come into question when asking “should I buy the rental insurance?” We’ll look at each of them individually and explain if and how they would respond. Liability coverage refers to bodily injury and property damage coverage (for an explanation on auto coverages, read our blog about it). Liability coverage from your PAP follows the insured, resident spouse, and “family members” while they use any vehicle. If the rental car is for personal use, liability coverage would apply to any vehicle with four or more wheels, including a moving truck the size of a U-Haul box truck. But if the rental is for business use, coverage would only apply to a private passenger vehicle, pickup truck, or a van. In most cases, liability coverage from your PAP would be secondary coverage if the damages incurred from a covered loss exceed the limits of the rental insurance policy, should you choose to purchase it. But let’s face it, when you rent a vehicle, you are usually in an area with which you aren’t familiar, driving a vehicle with which you are equally not familiar. Our suggestion is to buy the extra Liability coverage from the rental company. This is probably the coverage you’re most interested in as it answers the question, “But what happens if I get into an accident and damage the car?” You must have at least one vehicle insured with both collision and comprehensive coverages for the rental to be covered by your Personal Auto Policy. The type of vehicle also matters since physical damage coverage from your PAP only applies to private passenger autos, pickups, and vans. It doesn’t matter if you’re using it for personal or business use. Your deductible would apply as well as all other policy conditions. But how closely did you read the rental contract before you signed it and declined the physical damage waiver (aka Loss Damage Waiver)? Are there other items you might be on the hook for if you get into an accident in a rental car? Typically, there is. Items such as diminished value, loss of use, as well as various admin fees may be charged to you in addition to the damaged vehicle. The standard PAP only covers the damage to the rental vehicle. Remember if your policy doesn’t cover these other charges, you will be responsible for paying them back to the rental firm. Business Auto Policies respond in a similar way if the right coverages were selected to provide coverage for the non-owned auto. Our advice, similar to that mentioned in the Liability part of this blog, if you’re in an unfamiliar area, or an unfamiliar vehicle, buy the Loss Damage Waiver and avoid a possible issue of charges you are contractually obligated to pay with no insurance to respond. When debating on the purchase of the extra rental insurance coverage offered at the rental car booth, ask yourself if you are comfortable paying what could end up being thousands of dollars to satisfy your obligations under the rental car contract. The decision is truly yours at the end of the day, but make sure you know what you’re agreeing to pay for and how your policy would respond if that’s what you’re depending on. Want to know more about how your Personal Auto Policy would respond? We have licensed individuals within our company to help you with your insurance questions and needs. Contact us online or give us a call and speak to your licensed representative.